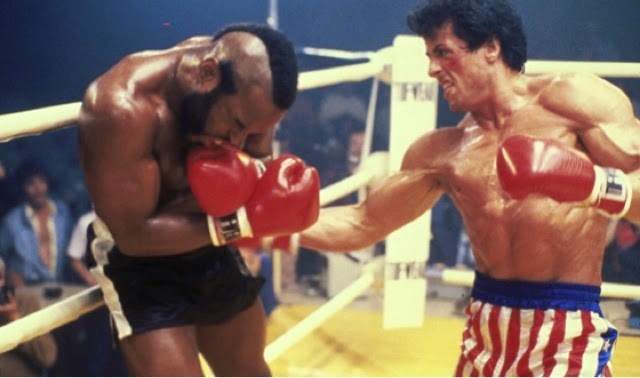 I've crossed off the second movie on the Iconic 80s movies according to Buzzfeed that I hadn't yet seen - Rocky III. The first thing I said to Mr. H. upon completion was something along the lines of "well, there was a reason I didn't see that when it came out" So yeah, not my favorite movie. 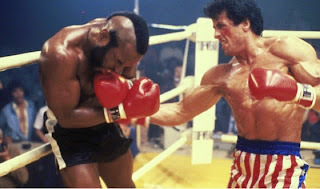 It was a typical Rocky flick - he loses a fight, someone gives a heartwarming/rousing speech, he trains for a fight, there's a montage, he's ready for the fight, he wins the fight. Mr. T. was fun, so at least there was that. On to the next movie!